A cool, original ‘ampersand’ fine art print. 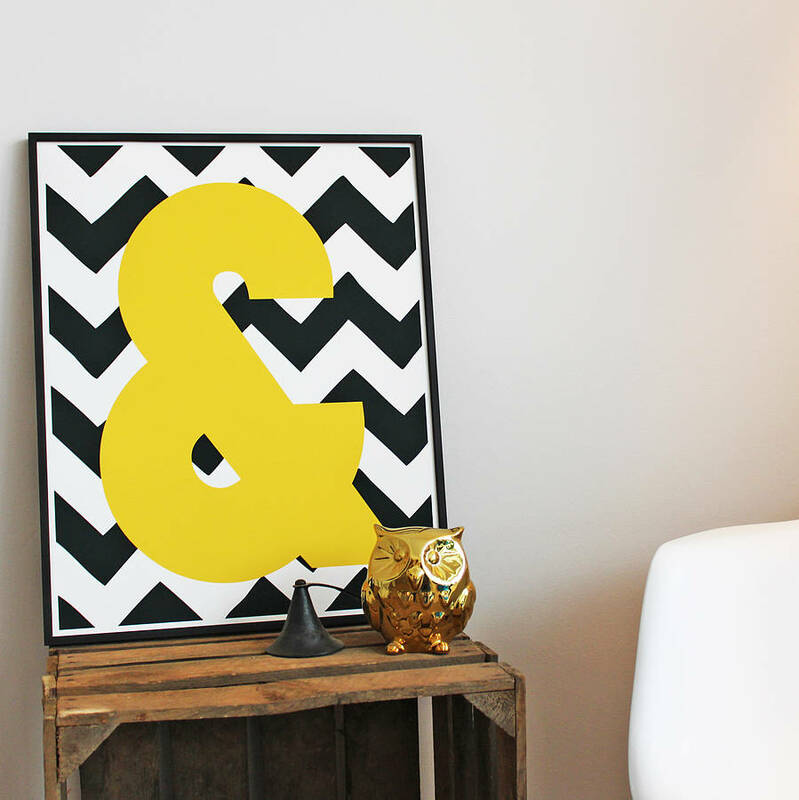 Liven up your walls with this ‘on-trend’ typographic ampersand print in black, white and mustard. Unframed prints delivered within 3 working days, other print formats within 7 working days. Please enter your email address if you would like us to keep you up-to-date with our news, latest product releases, competitions and special offers.